This is the last week of summer speech therapy. It has been lots of fun. I found some good strategies to assist students with eliminating phonological processes, motor planning, expanding responses, and articulation. Maura had good success using a descriptive sentence frame. 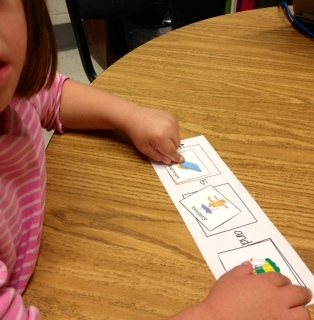 She chose pictures from a set of 3 to complete a sentence frame. The noun picture was selected first and then two appropriate adjective pictures. What a great tool for working on expanding utterances, describing words, and intelligibility. 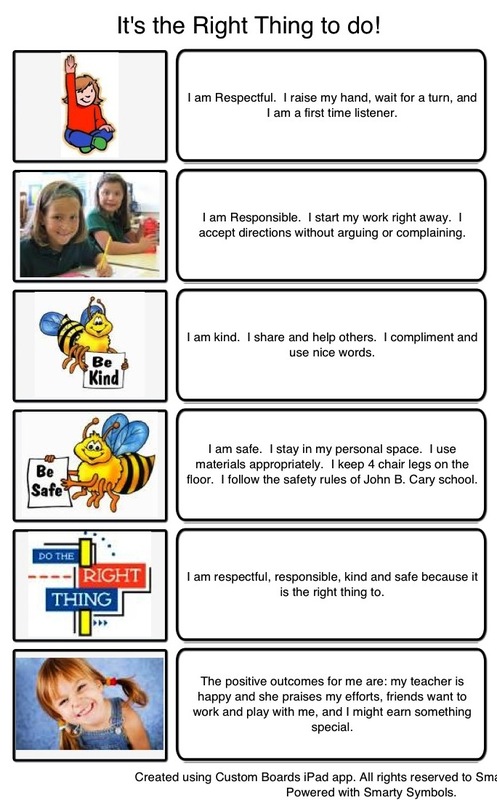 The sentence frames are a freebie created by http://ifonlyihadsuperpowers.blogpot.com and available for download on http://www.teacherspayteachers. Sometimes it isn’t easy to keep a 4 year old boy engaged for 30 minutes. Word Joggers Jr. did the trick. The token tower was an added bonus. Liam was so motivated to fill up that tower with tokens that he did some of his best work. He really likes animals so we chose that category for play. This game worked well for addressing word retrieval and phonological processing. Word Joggers Jr. is available at http://www.superduperinc.com. 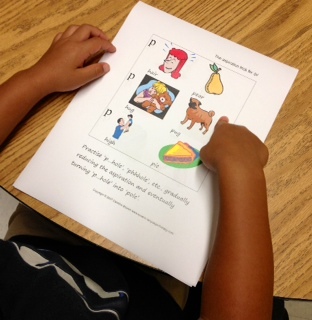 Z is using the aspiration trick for pre-vocalic voicing (pig=big). 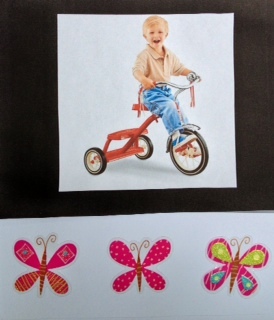 These visuals are available at http://www.speech-language-therapy.com This trick has worked well for him in summer therapy. 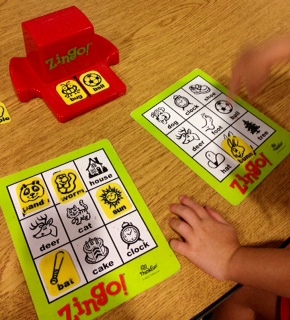 Zingo ranks as the #1 fav game in Room 99. So many ways to use this motivating game. Maggie practices CVC words, naming skills, and sentence construct I+have+_____. Woohoo! Visual and Auditory cues for keeping on track. There will be a new experience waiting for me when school starts in September. I will be co-teaching with a resource teacher. We will co-teach a language arts class with an emphasis on reading comprehension. I am so looking forward to this new experience. 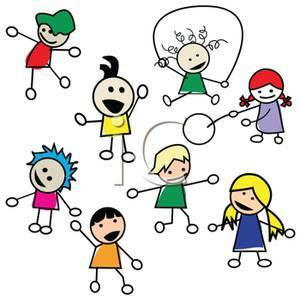 For many years I have integrated communication skills into classrooms by joining in cooperative learning exercises or “being a center” during center rotations. I have planned and delivered small group lessons as well as whole class lessons. We have called this collaboration. To me, co-teaching will be a bit different than just collaborating. 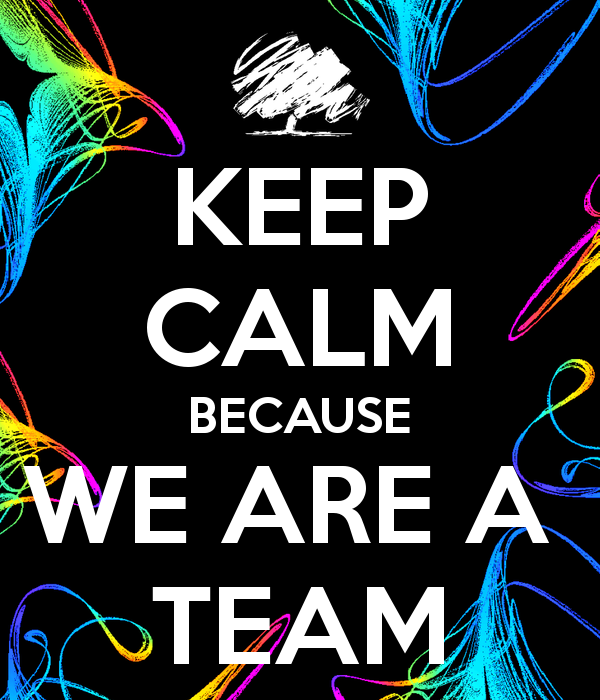 Yes, we will team up and join forces and share our best strategies but I will get to be a teacher! It will be interesting to see how it all turns out. Priming background knowledge helps to focus reading as a thinking activity. The more readers know about a topic, the easier it is to connect the text with background knowledge. Picture Walks To conduct a traditional picture walk, survey illustrations of a story, make predictions about the story, and confirm the predictions. Be sure that any incorrect assumptions are repaired and not reinforced. Visual Maps can be used when there are no illustrations to use to prime background knowledge. This strategy will help students get “primed” for what they will read about characters, setting, and the problem faced by the characters. Understanding Narrative Text Structure starts with discovering who the main character of the text is and what he did. Develop simple story frames of who-did-what events. Events of the story can be written on sentence strips, organized by the students, and then matched to the cues in the story frames. Goal structure mapping uses shapes, lines, and arrows to organize stories so that students understand how events of one character may influence the actions of another character. Emotional Thermometers help students gain a sense of various intensities of feelings. 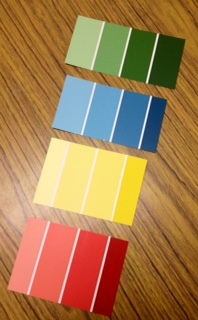 Shades of color help students see the intensity of feeling in a concrete manner. Social Stories can help students consider perspectives of others in social situations and the perspective of various characters. Please read the complete article. 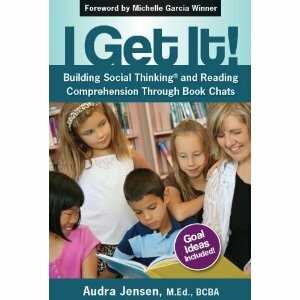 It is full of important information that will assist students with ASD in reading comprehension. I have already been thinking about Emotional Thermometers. While buying paint at Home Depot, I picked up these paint chips to use as visuals. 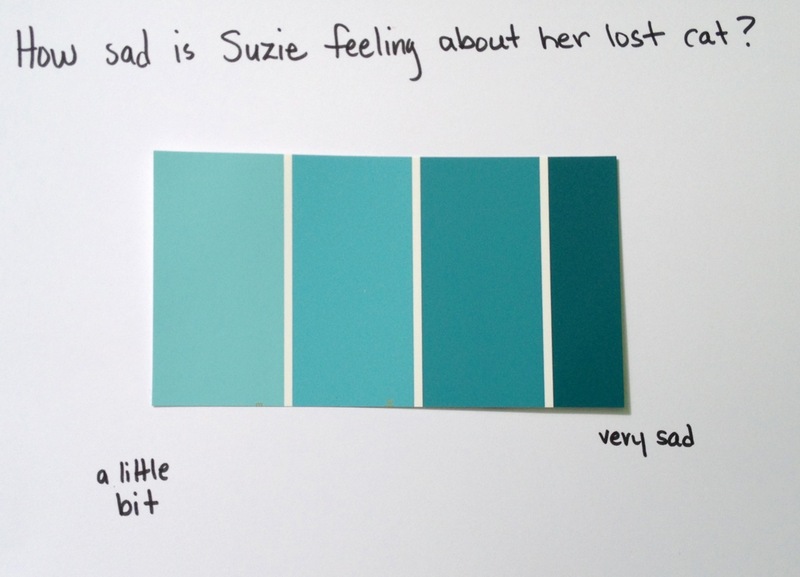 I think using the color blue would be great to point out the different shades to express the level of sadness a character might be feeling. Red could be used for anger, green for calm/happy, and yellow for worried/anxious. 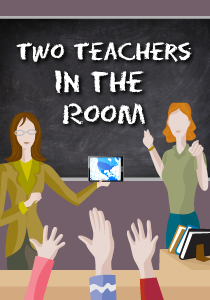 Back to the subject of co-teaching… I am happy to say that the resource teacher approached me with the idea to co-teach. She saw the positive results of the lunch buddies social skills groups and realized the potential benefits of working, I mean teaching, together. 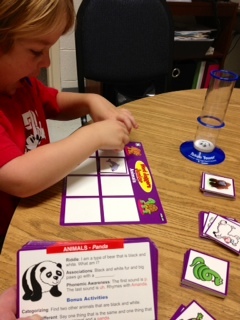 Want to see the fun we are having in summer speech therapy? We love interactive storybooks. They provide so many opportunities for multisensory language learning. These picture communication interactive storybooks are from http://www.janellepublications.com. Maggie loves to get her hands on these books. 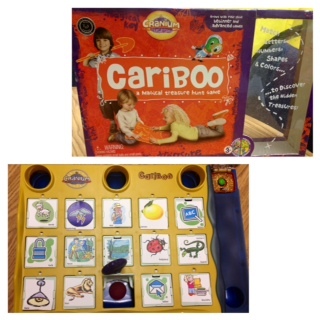 Cariboo is a super fun game for ages 3-6 yrs. My student is working on articulation so I modified it by making my own /l/ pictures. Instead of a plastic jewel in the treasure chest, I put a Skittle or Smartie (much more motivating). I bought this game on Amazon. I switch out the pictures depending on the needs of the student. Anderson is so motivated by this game that he is self-correcting /l/ and using 3-4 word utterances during play. I created this social story for another student. She is struggling to just share space with her classmates. 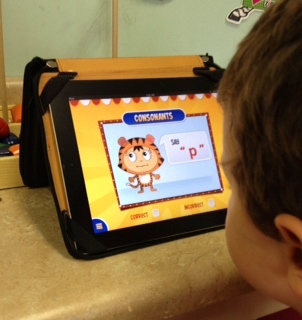 Mouth Works app for iPad uses video modeling for speech sound production. I don’t really like this app (as an adult it is annoying) but the young students like it. A good ol’ game of Go Fish is always fun. Liam is working on several skills during this game. I am missing my social skills groups and can’t wait to see them but I am having tons of fun in summer therapy! I had a conversation last week, with the parent of one of my preschool students, about attention and what parents can do to help young children learn to pay attention. We exchanged some ideas and then I came home to consult with some experts. I asked myself “What does it mean when we ask kids to pay attention?” and “What are we really asking when we ask kids to pay attention?”. 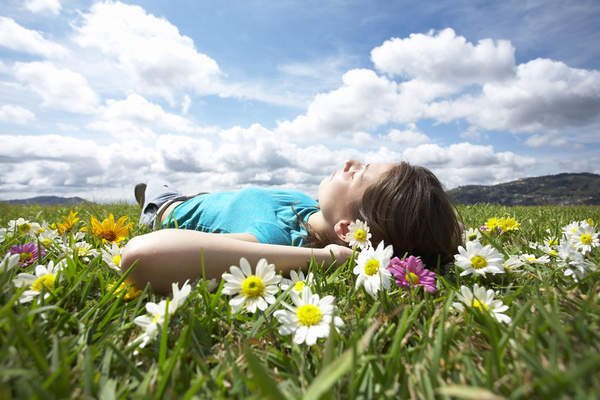 In a post at http://yogacalm.workpress.com/2010/10/14/attentive-mind/ I read this: When we ask children to “pay attention”, what we’re really asking them is something closer to the concept of being mindful. 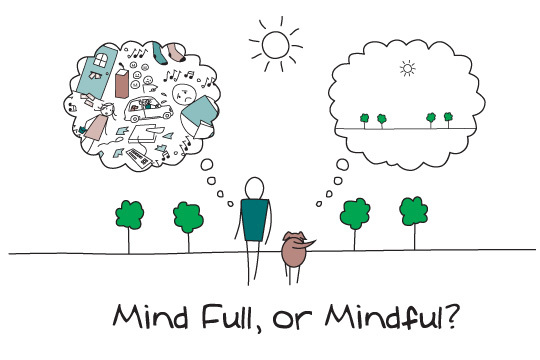 What is mindfulness? Jon Kabat-Zinn teaches that “Mindfulness means paying attention in a particular way: on purpose, in the present moment, and nonjudgmentally”. It’s developing awareness of what’s happening both outside and inside oneself and one’s physical being in the world. I also read in this post “Attention is the gateway to learning”. Wow, that powerful statement makes me want to know more! Give limited choices. Selective attention is common and limiting choices can help focus a child’s attention on the present. Be consistent. If a child knows what the rules are and they are consistently enforced then he/she is more likely to be responsive the first time he/she is asked. Let attention span develop naturally by also allowing time for a child to become actively engaged in a task without interruption. Lunch Buddies love yoga! So far, our experiences with yoga poses have been individual within the group. Starting this fall, I would like for our group to try partner poses. Partner yoga poses provide yet another platform for teaching the importance of getting along, being mindful (paying attention on purpose) when interacting with one another, working together/cooperation,being gentle with each other, and yes, perspective. 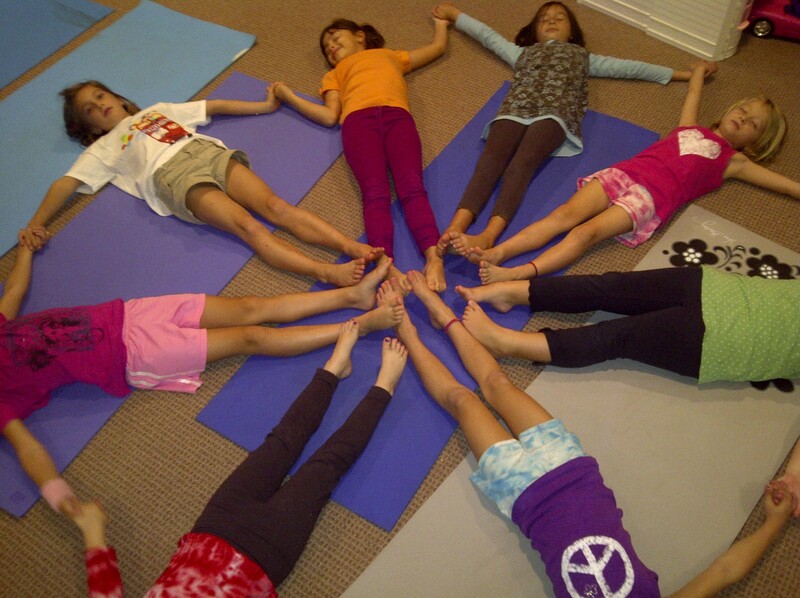 Go to http://www.kidsyogaacademy.com/pdf/Partner-Poses-handout.pdf for examples of partner poses. Doesn’t this Garden of Flowers pose look fun! Attention parents of Lunch Buddies when you are shopping for back to school supplies please add a yoga mat to that list. 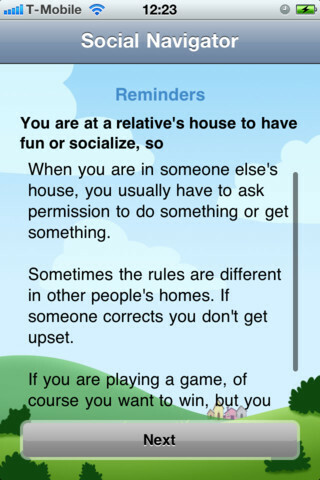 I just bought a new social skills app called The Social Navigator. 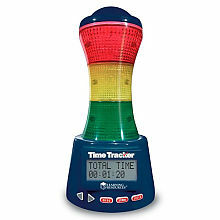 It is designed to be “both a behavior management device and a teaching tool”. As my students progress, their need for visual supports changes. With our goal of self-monitoring and self-management, The Social Navigator looks like a fine addition to our app library. Go to: http://www.socialnavigatorapp.com/behind.htm for the science behind the design of this app. Lorraine Millan, the app’s creator, is the mother of a child with special needs. It is her mission to “expand competent and compassionate care” to socially challenged individuals and their families. The student is then given the opportunity to check the skills they used. Next, they self-check by answering questions such as “Did you get what you wanted?” , “Was everyone satisfied?” and “Overall, how did the suggestions work?”. The Social Navigator documents behavior and tracks progress. It looks great “on paper” but the true test will be how the students like it. We will certainly put it to the test! I started summer ESY speech therapy this week. There are 20 students on my caseload and only 1 requiring social skills coaching. So I had to pull out some of my best visual strategies that were gathering dust while I was busy with other communication disorders. Several of my summer students have unintelligible conversational speech. A couple of them have trouble initiating and sequencing words in sentences. One student struggles to sequence syllables in words. Two students delete final consonants. One student has a fluency disorder. The one therapy tool that I can use with all these students is a pacing board. 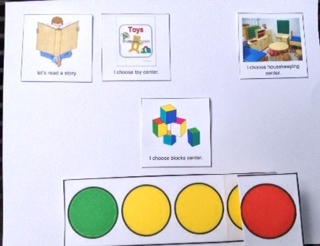 It is easy to make, easy to use and easy to share with parents and teachers. This one is used for increasing utterances. The green dot indicates the beginning of the utterance and the red dot indicates the end. The student will choose which center she wants to go to. Then she will tap out the big sentence. The teacher and I will model for her and her responses will be imitated at first with the goal to fade the pacing board for a spontaneous sentence. 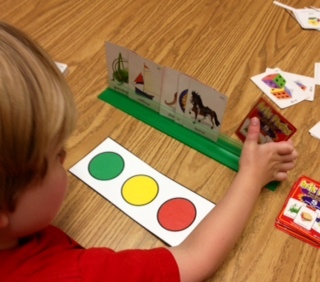 This pacing board is used for syllable sequencing. The pretty butterflies have glitter on them which adds a tactile element as the student touches each one. These “cushy” Buzz Lightyear stickers make a great pacing board for my student working on fluency. Watch this wonderful video clip called Keeping Pace. It explains the how and why of the pacing board strategy.